The circle represents our daily claim territory. This is a general guideline and not a hard and fast boundary. We will consider accepting assignments not within this boundary area based on the size of the claim and number of claims. 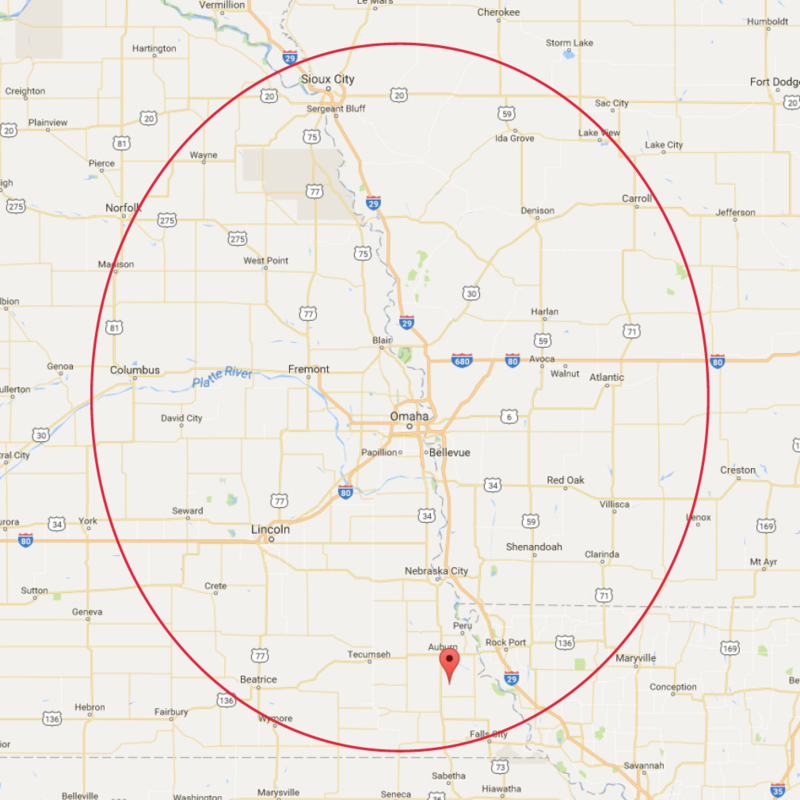 Boarder towns of the territory are: Sioux City, IA to the north, Norfolk and Columbus to the northwest, York to the west, Atlantic to the east, and Falls City to the south.